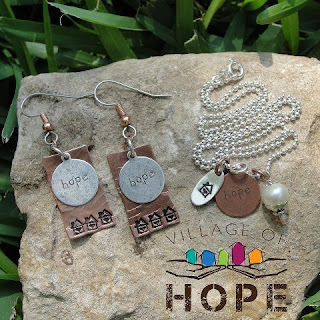 All Are Precious In His Sight: Village of Hope Giveaway! 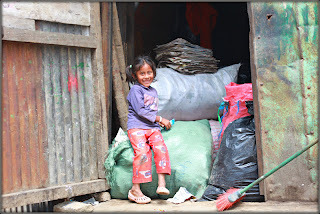 My precious friends, the Blocks and Uchereks, have put together an awesome giveaway as an incentive and reward for those willing to come alongside them in the journey to building Village of Hope, a holistic orphan care ministry in Guatemala. Please read the info below from Village of Hope and RESPOND BOLDLY by praying, sharing, and giving. After all, it takes a village to raise a child, and you're invited to be a part of the village that will be caring for orphans in their distress (James 1:27) in Guatemala. great our God is and how HE provides to bring His work to completion. To make a donation to Village of Hope, click here. 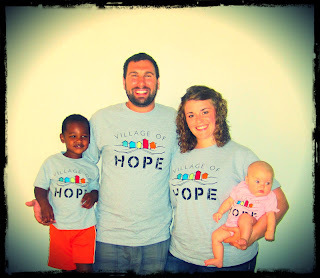 Village of Hope is a ministry of Lifesong for Orphans in partnership with Project Hopeful. The vision for Village of Hope was born out the knowledge that God has a heart for the least of these. Scripture reveals a God who is passionate about the sick, the widow, the orphan, the alien, and the poor.The purpose of Village of Hope is to provide family, faith and a future to the least of these by providing holistic orphan care to special needs orphans, primarily focused on those living with HIV/AIDS in a family-style setting.